Acqua nest is an artificial structure engineered to improve the aquatic habitat, to restore environments and allow natural ecosystems to develop. 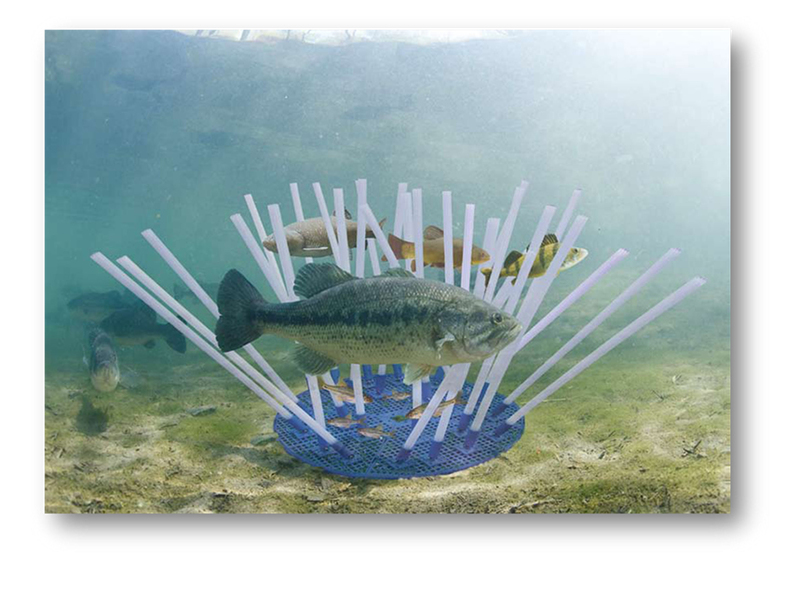 It provides a useful fish refuge from avian predation and when placed in large groups can also act as an artificial reef to promote spawning. On the Acqua Nest support there are fixed synthetic substrate to provide the widest surface area, producing natural feeding and promoting biological processes for various aquatic species. Acqua Nest offers an affordable solution to many habitat improvement schemes, and is very quick and easy to install.